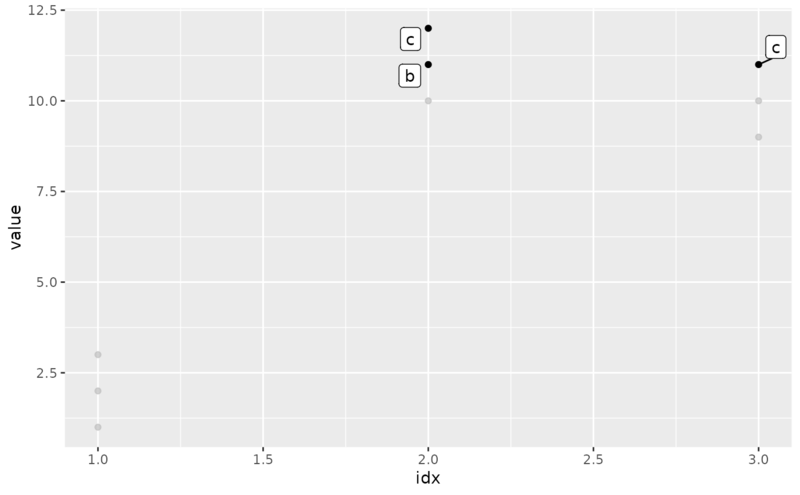 gghiglight() highlights (almost) any geoms according to the given predicates. Expressions to filter data, which is passed to dplyr::filter(). Number of layers to clone. Max number of series to highlight. Aesthetics (e.g. colour, fill, and size) for unhighlighted geoms. 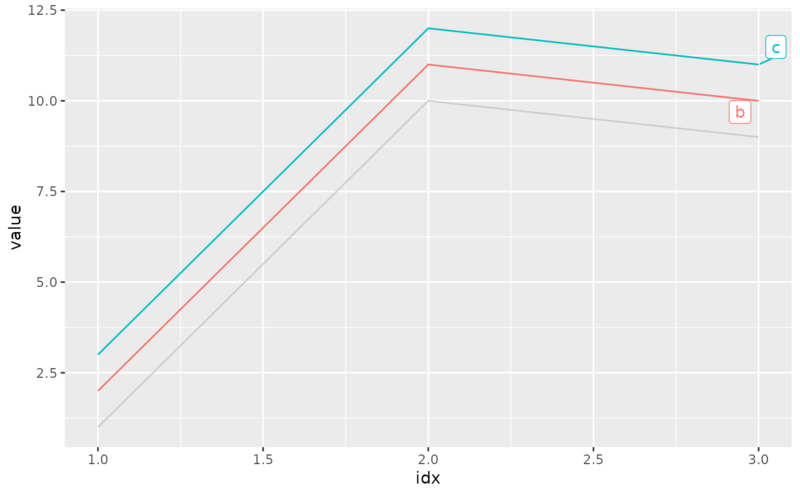 If TRUE, use dplyr::group_by() to evaluate predicate. If TRUE, add labels directly on the plot instead of using a legend. Column name for label aesthetics. A list of parameters, which is passed to ggrepel::geom_label_repel(). 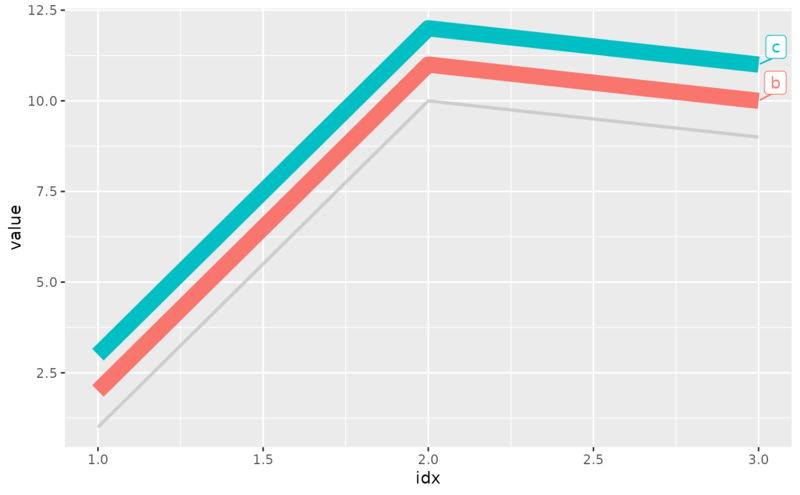 If TRUE, keep the original data with ggplot2::geom_blank() so that the highlighted plot has the same scale with the data. (Experimental) If TRUE, include the facet variables to calculate the grouping; in other words, highlighting is done on each facet individually. (Deprecated) Colour for unhighlighted geoms.